My hope in writing this tuning guide is that the fleet sails faster and continues to spread the wealth as we learn how to get every extra knot out of the boat! When you pick up a useful tip, post it on the form. 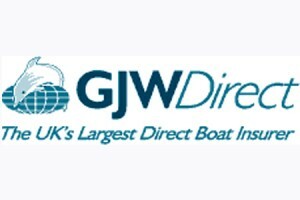 Whilst there are a lot of numbers and settings in this guide, please treat them as a “benchmark” only, they are a good way to “get you in the right ball park” but the fastest way to sail is developing your own feel for the boat….PRACTISE like Elvstrom said, time on the water is the only way. The Hurricane remains an incredibly smooth, strong, beautifully balanced and stable performer with bursts of acceleration and far higher top speeds than ever before. The mast is very much up to the job and so long as you ease the downhaul before the kite goes up and you watch how the mast section is coping as you drive the boat hard. You can play the main sheet without fear of breaking the mast downwind. When its windy with big waves downwind, make sure your foot strap is on the back corner, put your crew in it and put the hammer down, this is where the fun begins! But don’t forget only move back as the boat needs it to ride up and through the waves, go back too early and the boat will drag its stern! You will certainly find that you will need to relearn many of your sailing techniques in order to get the most out of this new boat. Forget the setting used for the previous “pin head” sail this boat needs an entirely new rule book. I hope you enjoy this guide. The Hurricane remains, quite easily the best value fast catamaran on the market, nothing comes close!